Data storage is an increasingly important part of most people's lives these days. Many of us now have multiple devices stuffed with photos, music, videos and documents and, while our computers and smartphones are typically equipped with more storage space than ever, there usually comes a time when you need to free up some space or backup your most important data. Which is where external hard drives come in handy. Our range of WD external hard drives showcases just how far data storage has come in recent years. These days incredible capacity is available in the form of remarkably small devices. 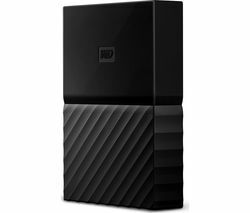 Take the WD Elements SE Portable Hard Drive, a small but sturdy little device that will fit in your pocket. 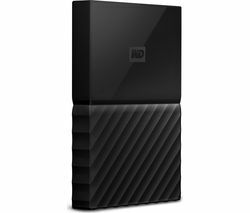 Somehow, despite its modest proportions this portable WD external hard drive offers a whopping 2TB of storage - that's the equivalent of 250,000 photos or songs. If you're on the lookout for a truly formidable external hard drive for your home or office look no further than the WD My Cloud EX4100 External NAS Drive, which combines four WD Red 2 TB drives to deliver 8 TB of storage, enough space for the most demanding home user. 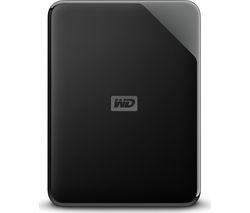 This beast of a WD external hard drive also gives you multiple RAID storage options to save your data. RAID lets you choose how you want your data to be backed up - RAID 1 automatically replicates your data so you always have two back ups, while RAID 5 distributes your data amongst the drives so that if a single drive fails your data can still be recovered. In addition to our extensive choice of WD external hard drives we stock data storage solutions from all the leading brands, including Sandisk USB flash drives, Seagate hard drives and cloud storage from Knowhow.